SOHO in Ottakring is an urban art project that started 1999 as part of an artist´s initiative in the “Brunnen Viertel” of Ottakring, Vienna´s 16th district. The “Brunnen Viertel” located close to the Viennese “Gürtel” that divides the inner from outer districts and is a densely developed, traditional working class urban area surrounding the Brunnen market, an eight hundred meter long every day street market. This area of approx. 20 ha has around 8000 inhabitants, of which 40% percent have migrant background. SOHO in Ottakring focuses on artistic interventions in the local environment and on aspects relating to urban living and urban development. A key aspect is the pro-active use of public space during the biennial two-week festival in May as well as the collaboration with national and international artists, cultural workers and local groups and institutions. Socially and politically engaged art projects, which concentrate on the specific implications of the neighborhood as prototypical issues concerning society, are especially encouraged. 2014 marks a historically distinctive year: 90 years ago, in 1924, the construction of Sandleitenhof was started, and it was planned as the largest social housing complex of ‘Red Vienna’. Sandleitenhof symbolizes the utopian housing concept that had been implemented during the short social democratic era of the first Austrian Republic. 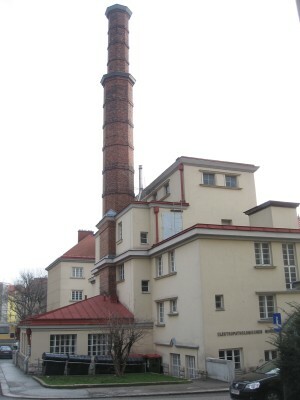 In 1934, Sandleitenhof was to be fired at during civil unrests. Nonetheless, the impressive complex is still there in full grandeur ´till present day, maintaining a lot of its original fascination as part of an urban ensemble with Kongresspark and Kongressbad (public bath). This years edition of SOHO in Ottakring will take place from the 17th – 31st May 2014. 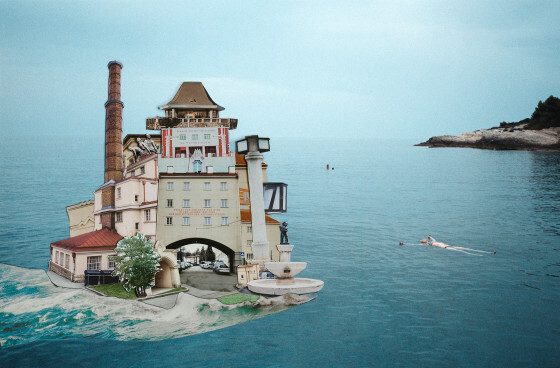 The Sandleitenhof, Nietzscheplatz, Kongresspark and Kongressbad will be the venues for a manifold festival program, addressing young and old to join in, get actively involved and to simply enjoy. The emphasis in all of the projects lies on dealing with living memory and its´ intertwining with the present as well as on the re-interpretation of public space. Workshops will set focus on working with recycling material using tactile and mechanical skills. People from the neighborhood who know their craft will be invited to pass on their skills: handcraft as a particular knowledge, that was not necessarily trained but can bear on observation and experience; handcraft as an individual, sensual experience with an object, a certain material, an idea/thought or occasion in a fast moving world of mass production and increasing virtual distractions. 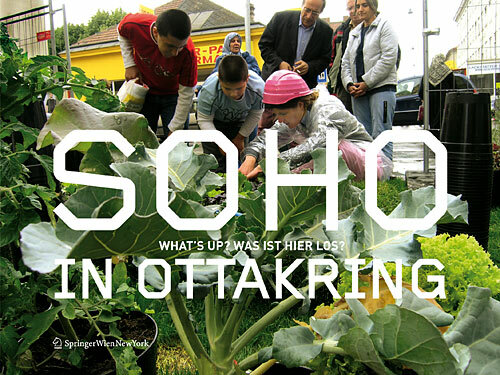 In 2008 a book was published by the Springer Verlag – Vienna with the title “SOHO IN OTTAKRING” – What´s up? – Was ist hier los”, which is giving an overview from the start in 1999 and the projects during that period.